What are the rules on environmental claims? The misleading aspects of most paperless marketing slogans also fail to meet the requirements of many published environmental guidelines and laws, such as the Green Guides of the U.S. Federal Trade Commission (FTC), the Competition Bureau of Canada, and the ISO14021 standard. All these publications specify that vague claims (such as “green”) should not be used and that claims must be specific and require substantiation based on recognized scientific methods. Marketers should not make broad, unqualified general environmental benefit claims like ‘green’ or ‘eco-friendly.’ Broad claims are difficult to substantiate, if not impossible. What do customers think about these claims? Financial organizations, utilities, telecoms, and governments are increasingly encouraging their customers to go “paperless.” But switching to digital is not always welcome as many consumers value paper-based communication. A survey conducted by Two Sides in 2017 found that 90% of U.S. consumers believe they should have the right to choose how they receive communications (printed or electronically) from their service providers. A further 83% believe they should not be charged more for choosing paper bills or statements and 57% would consider changing provider if forced to go digital-only. Equally, 72% agree that claims about the switch to digital being better for the environment are made because the sender wants to save money. 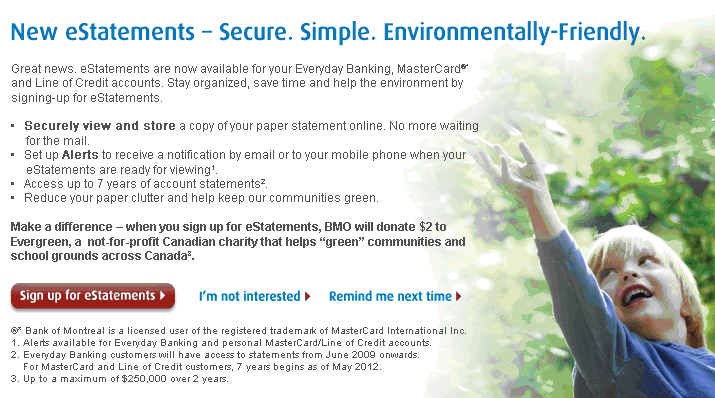 Since early 2012, Two Sides North America has engaged with over 165 companies to change or remove negative environmental claims used to promote electronic services over paper-based communications. Because of the Two Sides ongoing educational campaign, over 110 leading North American companies, and over 300 globally, have removed or corrected environmental claims. Below are some of the companies that have collaborated with Two Sides North America, as well as examples of corporate messages before and after the discussions. 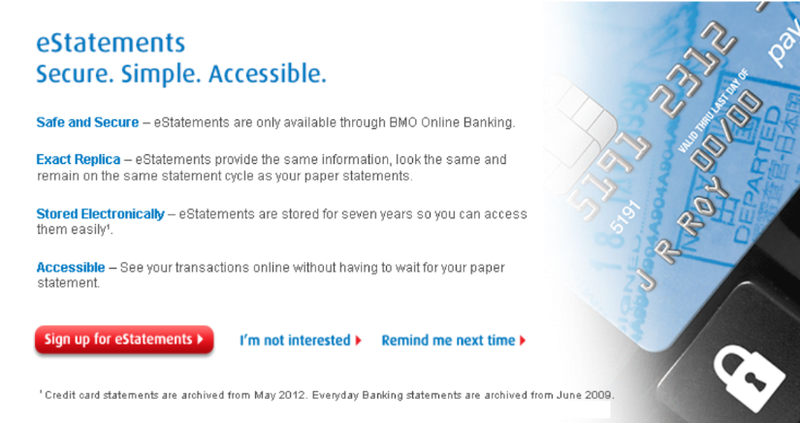 BMO collaborated with Two Sides to change and remove all negative claims related to the use of paper, including terms such as “paperless” and “paper clutter”. After many attempts to engage with Verizon, Two Sides issued a blog supported by a social media campaign to raise awareness about misleading claims. 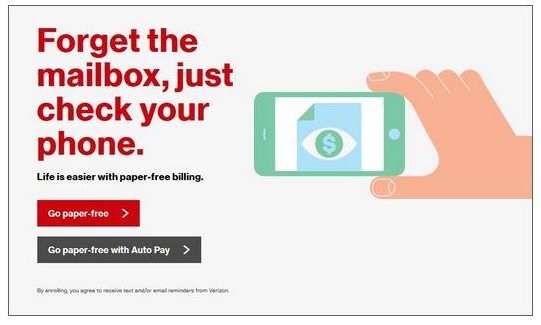 Verizon subsequently removed the claims. 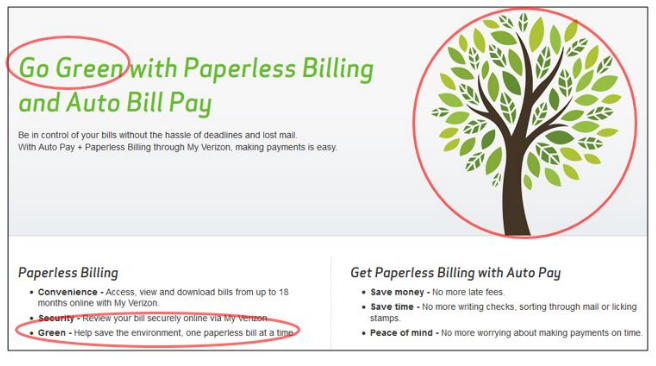 Are “go green – go paperless” claims supported by sound and verifiable evidence? Paper or Digital Bills and Statements: What Do U.S. Consumers Prefer?